MonkeySocietyblog is an attempt to spread the message of individual liberty using the kind of spirituality the Buddha had taught people in ages. 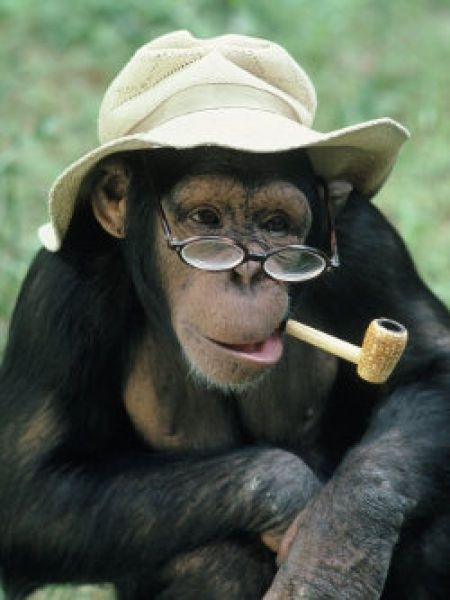 MonkeySociety is a metaphor for a backward-thinking society. The term "backward thinking society" is a vague idea. There is no clear calibration from where the "backward" thing can be seen to begin. But there is an unwritten rule for it I think. A rule that can't be well described and expected not to be agreed upon by all men. It means only one thing and that is it uniquely depends on the person making such evaluation. In my case, it is I who holds the idea how backward my society is. In my viewpoint shall reside the basis of judgment when to call my society a backward society or in this blog's theme, a MonkeySociety. Much of what's to be said in this blog is just an image of me and not of anyone else. Though it may appear MonkeySociety is a group of people I wish myself not to be associated with, the paradox would be it is myself that is being described in all of its subtlety. MonkeySociety is a contrast to what could have been. I believe humans are destined to evolve to a higher consciousness. However, there are times wherein a man is unconsciously caught in the trap of his own ignorance, preventing him to step beyond the human psyche's self-imposed limits. I for one have been trying to negotiate my way through it. It's a struggle during wake hours and I believe I came to a much clearer understanding of everything compared before. MonkeysSociety is to be imagined like a fence, a wall, and an ironic rogue prison residing in the head that swallows a man in his entirety. There is nothing more baffling than to lay confused and not knowing how to break the heavy shackles of self-created painful confinement. But there is a way, don't worry. The very confusion will be the beginning of it all. It means that a change is commencing. That's one thing that is sure. MonkeySocietyblog is to tackle backward tendencies of human mind (or my mind). Humans have grown very dependent to the institutions they have invented and slowly discarding the inner potential for a much nobler development. Government has been a powerful machine by which citizens could morph to a much lower level of creation. I don't like to mention it but I believe that some sectors of the society are fast becoming shamelessly parasitic in behavior, of course in irony with the popular claim that human civilization is advancing. And these humans fight among themselves just to survive. But there is a way. The way would be to recognize that a MonkeySociety could never have been possible at the current extent if only humans could recognize the inherently genuine wholeness from within each self. This is why MonkeySocietyblog was created. There is a joyful feeling knowing from within I am free to mock my own existence. hey i came across your comments in Anti-pinoy and you seem to be a well informed guy. I will try to cut to the chase and ask for your opinion on the internet documentary "zeitgeist: moving forward" which can be viewed on youtube. A review of the movie from your points of view would be appreciated. A review of the movie is a good idea. For the meantime here is my short comment about it. There is a dilemma though. As a libertarian and Austrian free-market believer, who believes in limited government and strong civil liberty, I doubt the possibility of attaining such resource-based society. The model seems to move in contrary to the human action as stated in manuscripts of praxeology. Zeitgeists have tried to avoid associating with Socialism/Communism. I found no reason to do so. I am baffled why they avoid it.